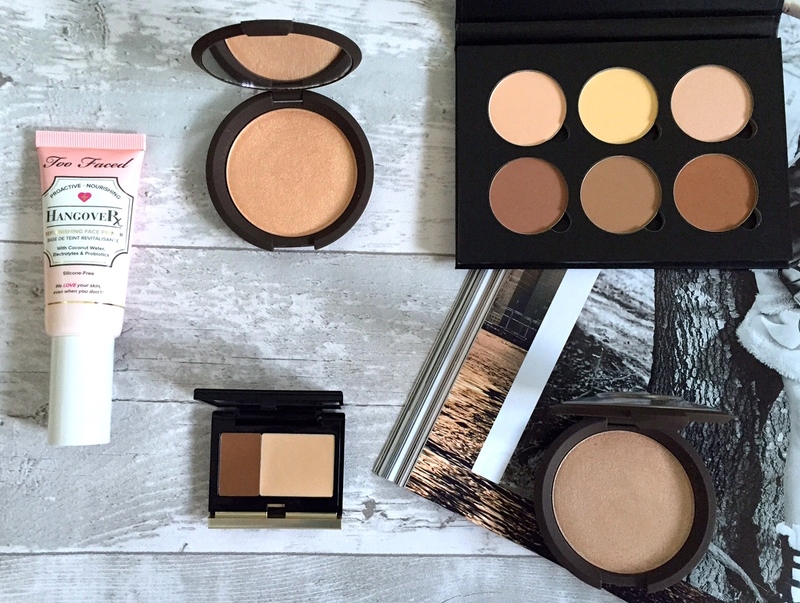 Now as you may have seen from my Sephora Haul post here, I nearly cried when the Becca x Jacyln Hill highlighter arrived broken in the post. Sephora did refund me after quite a lot of pestering but for some reason they couldn't send me a new one. So, this let me me placing another order and you can't just get one thing from Sephora- right? 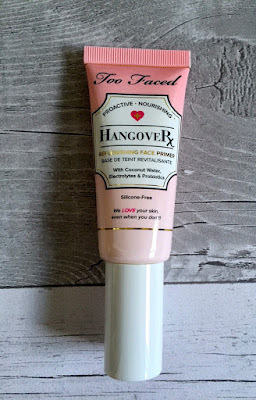 I have seen a lot of hype over this primer so I thought I would give it a try. I really like that it has a pump on the end. 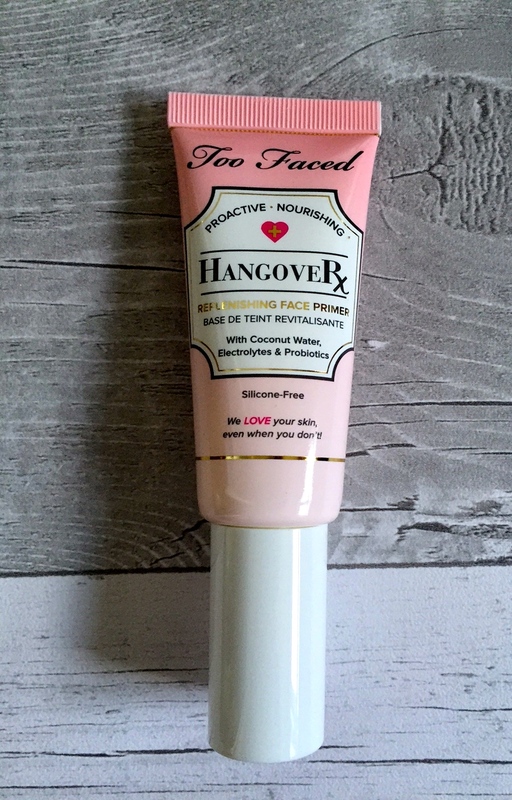 It is much less messy, especially because this primer is quite watery. It is 100% Silicone free and has coconut water, electrolytes and probiotics. It has a similar texture to a very light moisturiser which I quite like. I will let you know my thoughts when I have given it a good test. 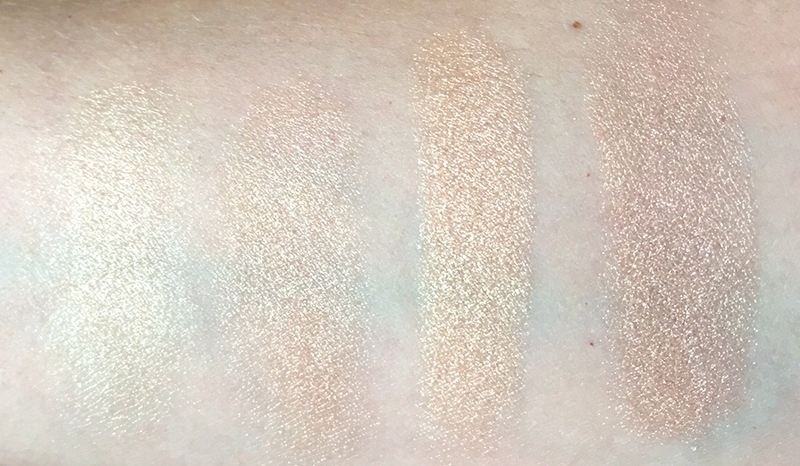 Here are the swatches side by side of the two Becca highlighters. I have to say they were worth the hassle and wait. They are beautiful. Shimmery but not glittery. I would say that they aren't the most subtle highlighters but they can be applied with a lighter hand to give a more daytime look. 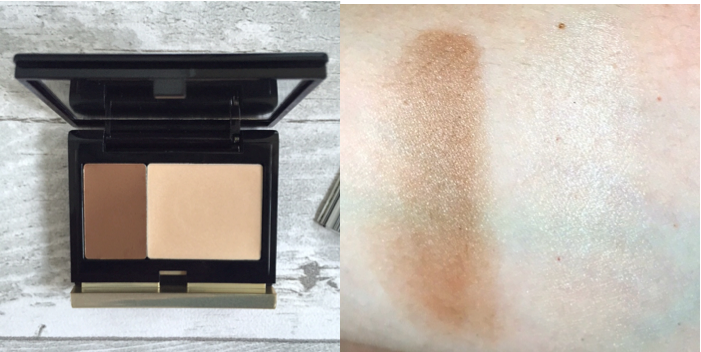 The Champagne pop is a white golden shade and the Opal is more of a dark golden shade. I'm sure you will see these appearing in a favourites post soon! Next up is the Kevyn Aucoin Creamy glow duo no.4 in Sculpting medium/ Candlelight. I was drawn to this little compact because it is a cream product. I already have the sculpting powder in powder form and I really like it. I was going to get the highlighter of Candlelight in powder form but I decided to try this as I already have millions of powder highlights. First impressions I really like the swatches. The bronzing shade is beautiful and the highlighter is a lovely white gold shade that is subtle but gorgeous on the skin. My only disappointment is the size of this product. The bronzer is about 1.5cm x 2cm- it's tiny! I think you could only use this with your finger. The highlighter is a bit better but for the cost I expected it to be a lot bigger. Did I need this? Probably not but isn't it beautiful. 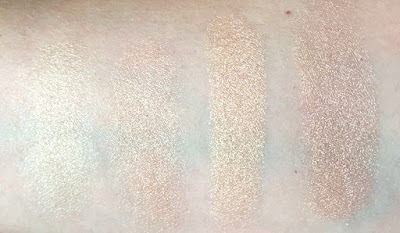 On first swatch they are very creamy for a powder with slightly less colour that I was expecting. There is a lovely mix in here. 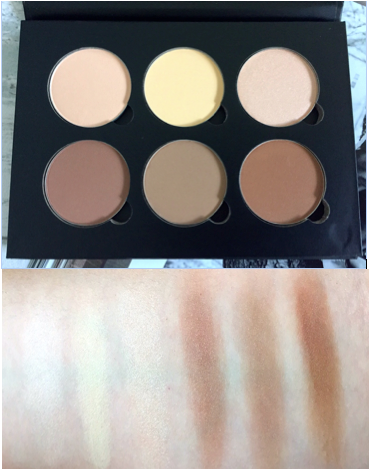 I particularly like the highlighter shade (top right) and the contour (Bottom, middle). I am going to have a play with this and let you know what I think.